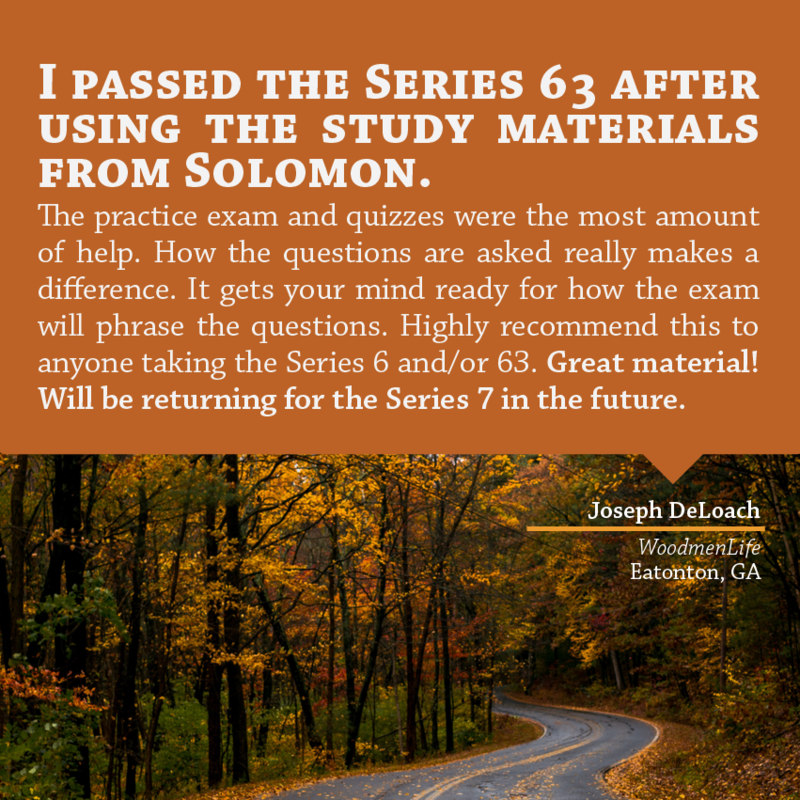 Are you currently studying for the Series 63? 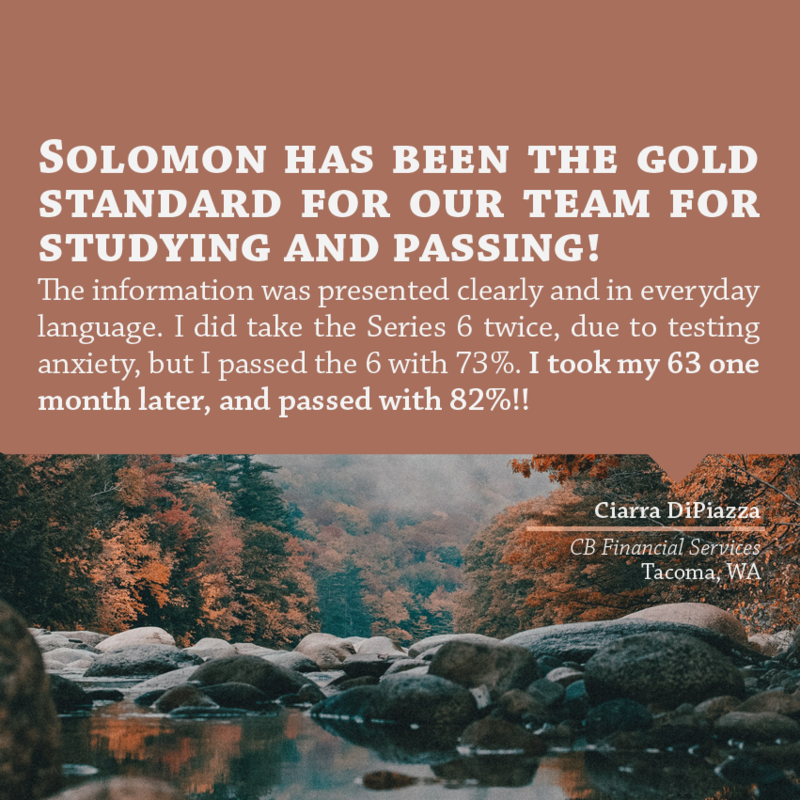 Solomon Exam Prep is excited to host a one-day Series 63 class in Portland, Oregon for $99! 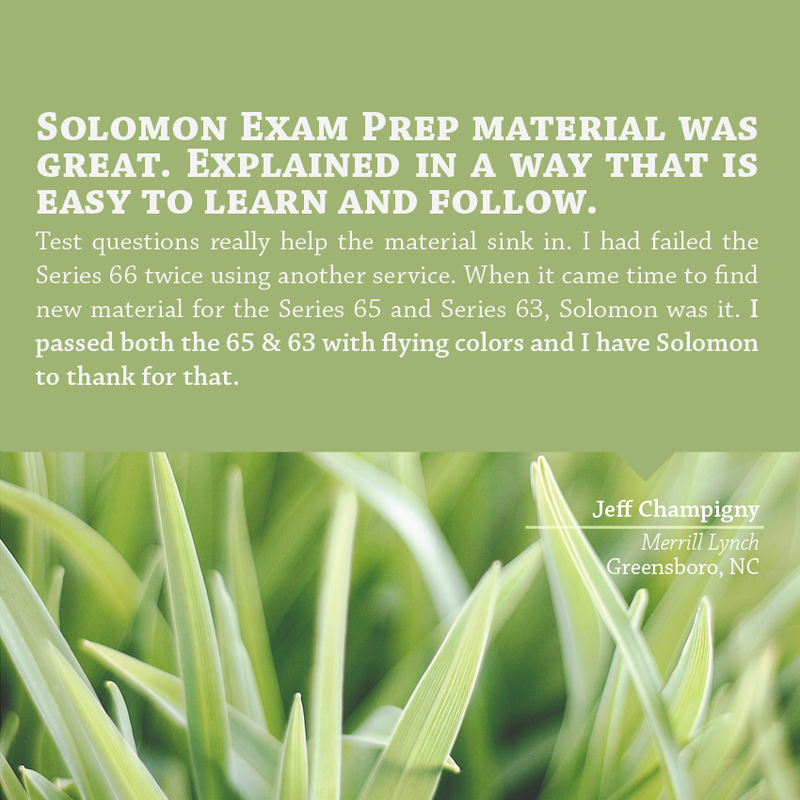 The class will be held on Tuesday, February 27th. 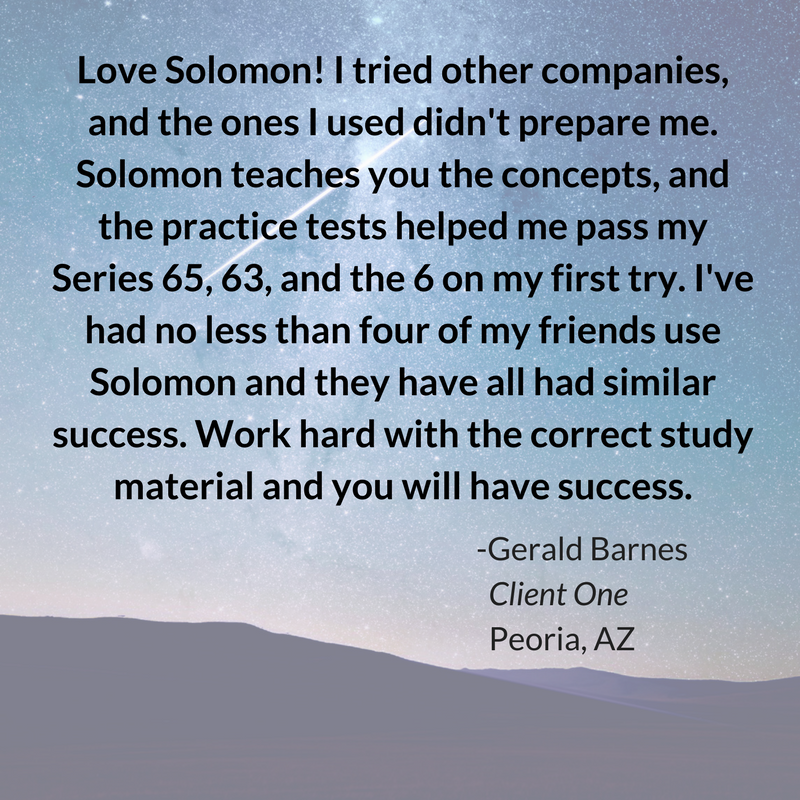 Taught by one of our instructors, this live, in-person class will cover the major topics of the Series 63. 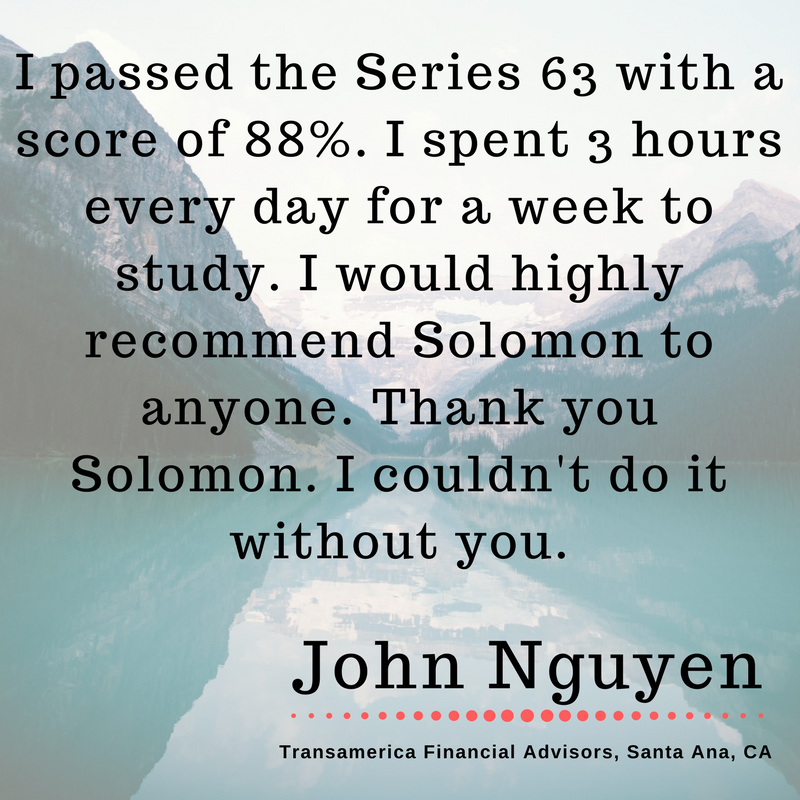 This class will include a study schedule and PowerPoint slides from the instructor. Interested? 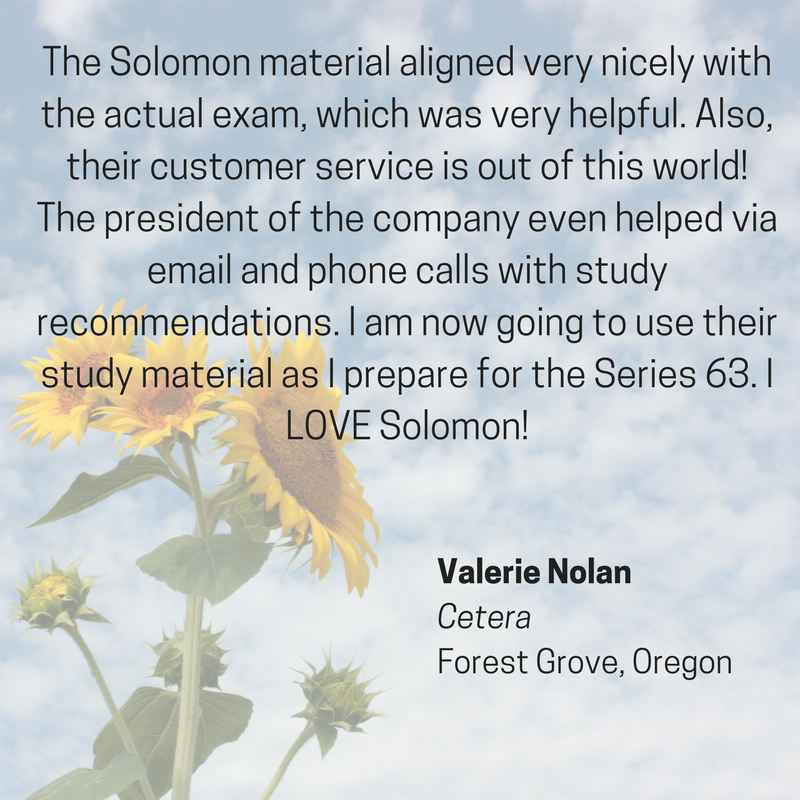 Give us a call (503-601-0212) or send us an email and we will save you a spot. Full payment must be received by February 20th, so don’t wait! Update: On March 1, 2017, the Department of Labor proposed a 60-day delay of implementation of the fiduciary rule. The DOL will allow a 15-day comment period before determining whether to finalize the delay. The Department of Labor’s fiduciary rule has been subject to more back and forth than an Olympic table tennis match. Will it go into effect? Will it be repealed? Or will it merely be delayed? The answer seems to change from day to day. While some groups work toward implementation of the rule, other groups fight against it, questioning whether the Department of Labor even has the authority to issue such a rule. The fiduciary rule would require financial professionals to put an investor’s interests first—that is, to meet a fiduciary duty—when providing investment advice regarding covered retirement plans. February 23, 2015: President Obama called for the Department of Labor to move forward with the creation of rules to limit conflicts of interest regarding investor retirement accounts. April 14, 2016: The Department of Labor proposed the fiduciary rule, intended to begin implementation on April 10, 2017. February 3, 2017: President Trump issues an executive order directing the DOL to review the fiduciary rule. February 8, 2017: A federal district court judge in Texas upheld the Department of Labor’s authority to issue the fiduciary rule. February 17, 2017: A federal district court judge in Kansas upheld the Department of Labor’s authority to issue the fiduciary rule. Will it reduce investors’ access to a variety of retirement services, offerings, product structures, or other information or advice? Has it disrupted the retirement services industry in a way that could harm investors? Is it likely to increase the amount of litigation in the industry and thereby cause an increase in prices for investors? If the Secretary of Labor determines that the answer to any of these questions is yes, it must revise or rescind the rule. However, many firms are proceeding with their plans to implement the fiduciary rule whether or not the rule as it now exists goes into effect. For example, Merrill Lynch has said it will no longer offer commission-based brokerage IRA accounts. Instead, the firm will offer level fee investment advisory services regardless of the outcome of the fiduciary rule. So even though we don’t know what will be the ultimate fate of the DOL fiduciary rule, it’s safe to say that it has already begun to change the face of the financial industry. 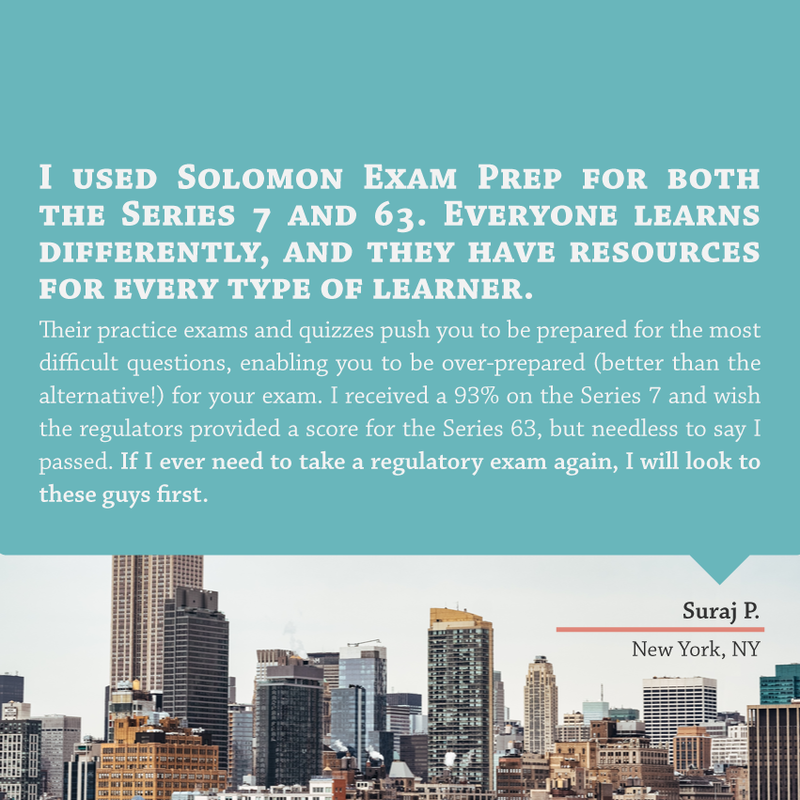 For more information about the DOL fiduciary rule, see our earlier blogpost: https://solomonexamprep.com/news/finra/ready-or-not-here-it-comes-the-dol-fiduciary-rule-2/.